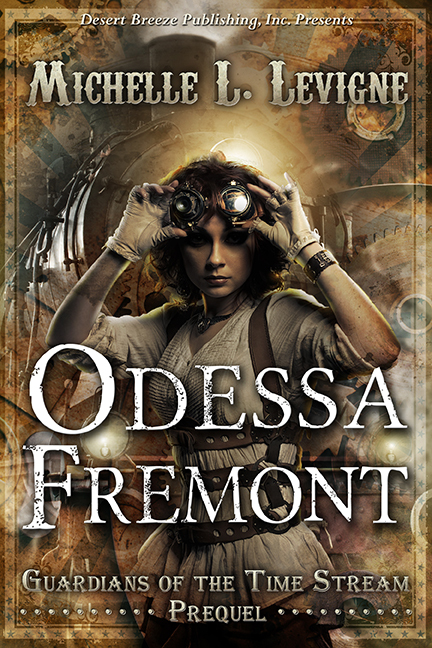 Are you ready for some time travel, gizmos, and tough chicks? 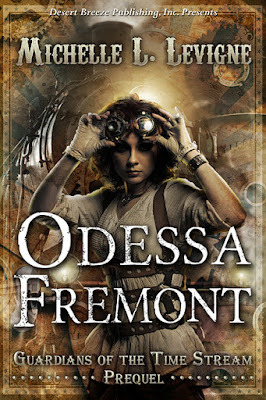 In April, ODESSA FREMONT, the prequel to Michelle Levigne's "Guardians of the Time Stream" steampunk series will be released by Desert Breeze Publishing. This could be labeled a YA, as Ess is only 14 when she decides to run away from boarding school. By the time she screeches to a halt at the end of the book -- thanks to train robbers, the Pinkertons and a bullet! -- she's worked with the Secret Service and saved President Lincoln's life (so he can run for a 4th term!) and worked for the circus. So what's she going to do once she turns 17? Find out about her career as a Pinkerton when she runs into the BLUE LOTUS SOCIETY in September! Check out Michelle's website -- www.Mlevigne.com -- or Desert Breeze Publishing -- www.DesertBreezePublishing.com -- for more information!